When single mom dating is a scary, fun, frustrating and exciting adventure. The whole thing is very different than dating when you only had yourself to think about. You may feel like you are visiting a foreign land without a map when you start dating as a single mom. You probably have some questions. I know I did when I started dating after being married for most of my adult life. 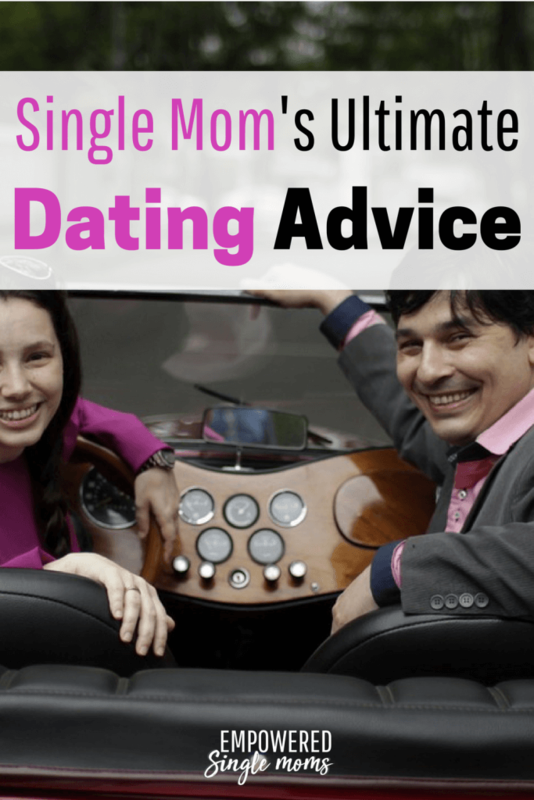 How do single moms dating meet people? Dating was easy in high school and college. You were around a lot of people the same age, you all had the same focus and you had a lot of time to socialize. After high school, especially as a parent, it’s not quite as simple. But there are still many ways to meet people. Some are good ideas, some are not so good ideas, and some are downright terrible. Consider your needs and expectations as well as what you may be risking. Ask yourself if you are looking for a serious relationship or something more casual. If you are looking for something casual, your preferences for a partner may be less important because you do not expect them to be around very long or to be a big part of your life. If you are looking for a serious relationship, it is important to evaluate what type of person you want to be in a serious relationship with. Contemplate the personality, interests, and values you would like that person to have. Once you have in your mind what you are looking for, you can start thinking about how to meet that person. What does the type of person you want to meet do with their time? Where do they go? Does your childcare schedule allow you spend time in those places? It’s good to remember that if you want to meet a heavy drinker, spend time at the bar. If you want to meet a strong Christian, get involved in church. If you want an involved parent, look for other single parents at your children’s activities. Some people find dates at work. Although this works in some situations, it may be a risky decision. Even if the relationship thrives, some companies have rules against it and there can be a perceived unfair advantage if you are dating a superior or someone who may have inside knowledge. If you are dating a subordinate, you could open yourself up to a sexual harassment suit. If things do not work out, it could be awkward at best and at worst one of you may need to find other employment. All of these possibilities are especially problematic when you have kids to consider. Your job is your means to provide for them, and you don’t want to endanger something like food and shelter for your children. Typically men and women think about dating differently. This book is a fun read on how to understand how men think about dating relationships. What if there aren’t any interesting men or women at church or your children’s activities, and your friends are coming up empty with possibilities? We live in a time when a high percentage of couples meet each other on dating sites or online games. Online dating has its pros and cons. One advantage is that you will meet people who you do not usually run into. A disadvantage is that it is much easier to have a false persona online than in person. You can research a person you meet online. You can be Facebook friends, look at their LinkedIn profile, and Google them. If you have a Facebook friend in common, see if they can vouch for your potential love interest. Always take safety precautions if you are meeting someone you connected with online. Meet in a public place and let a friend or family member know where you will be and who you will be with. Set up a time to check in with your trusted contact so they know you’re safe. Make smart choices to protect yourself as well as your child. Some people will be looking for friends with benefits, a ridiculous concept you can read more about in this post. Other people may desire marriage within a few weeks of meeting each other. Both possibilities are fraught with problems, especially when you must consider your children. But if you find a person who is looking for the same kind of relationship you would like to pursue, proceed–with caution. Relationships have stages. This is a good resource for understanding if the stage you want the relationship to be at syncs up with where the other person is at in the relationship. Do not expose your children to a revolving door of other men or women. Your divorce has already caused them a significant loss and upheaval. DO NOT introduce your children to your new love interest for the first time at the breakfast table. Remember, your children listen more to what you do than what you say. Be sure that your behavior teaches your children the values you want them to live. Yes, you are an adult and they are children, but teenagers think that they are adults and will be less discerning than you hope when it comes to determining what is OK for you and not OK for them. For single moms dating is a whole new world. Even though there are more considerations than there were before you had kids, it can be a lot of fun. So once you have healed from your breakup, have some fun and try dating but take it slow and remember first and foremost that you are a parent. What are your tips for getting back into dating after a breakup?